Autism Research: The Difference Between "a Link To" VS. "the Cause Of"
A couple of months back I got an email from an Autism Daddy reader. He was also the founder of a new autism GPS tracking device called AngelSense. He was contacting me because he wanted to offer me & one of my readers a free gps device & free service for a year in exchange for a review of his product. And then the horror of Avonte’s story came crashing back to me. When Avonte went missing, we in the NYC Metro area became personally invested. It went on for months and it was tragic. So seeing Avonte’s mother made me more interested in exploring this device. Sen. Charles Schumer’s proposed “Avonte’s Law” will become reality thanks to funding from the federal government. The U.S. Department of Justice says it will fund voluntary tracking devices for children with autism or other conditions that put them at risk for fleeing their caregivers. Schumer announced the agreement Wednesday. Schumer called for legislation to provide GPS tracking devices for autistic children and others with a tendency to bolt from parents or caregivers. The senator said it would be similar to a federal program that tracks seniors who have Alzheimer’s disease. The senator said the Department of Justice has agreed to allow existing grant funds to be used for the voluntary devices. The justice department confirmed the agreement. Now it’s starting to become clearer how communities can obtain the funds Holder referenced. Police should go through the same process they typically utilize to seek funding from the federal Byrne program, according to Max Dworin, a spokesman for Schumer. Law enforcement agencies can request grant money to pay for tracking devices and to provide education and training related to the issue of wandering, he said. Dworin said. Police departments that receive money through the federal grant will be responsible for designing and administering their local program and determining how tracking devices are distributed. Research indicates that about half of children with autism are prone to wandering. Electronic tracking devices can be worn as a bracelet, attached to a shoe or belt loop or even sewn into a person’s clothing. In the event that an individual goes missing, a caregiver can call the monitoring company associated with the device in order to locate the person. Ok, so over a year has gone by since both those articles and since the law was supposedly passed and I’ve heard nothing about it and I no of no parents who have successfully gotten a free gps device thru the federal government. And in the meantime lots more kids with autism have wandered off and died. I can’t find any statistics from 2014, but if you want to make yourself nauseous you can read HERE & HERE 2 high profile autism elopement / drowning cases that made news in the US. So I thought let me email this guy back and see what this device was all about. But before I did I went on their website www.angelsense.com to check it out and I was immediately impressed. I was on the site for less than a minute when the chat window above popped up on my screen. I could have a live chat with a special needs mom and an AngelSense user to get any answers I might have. I didn’t chat (cuz I’m shy 🙂 but the founder of the company and I traded emails and then we scheduled a phone call so I could learn more about the service. Doron Somer has founded the company together with his friend Nery. Doron is the dad of a 17 year old son with autism. 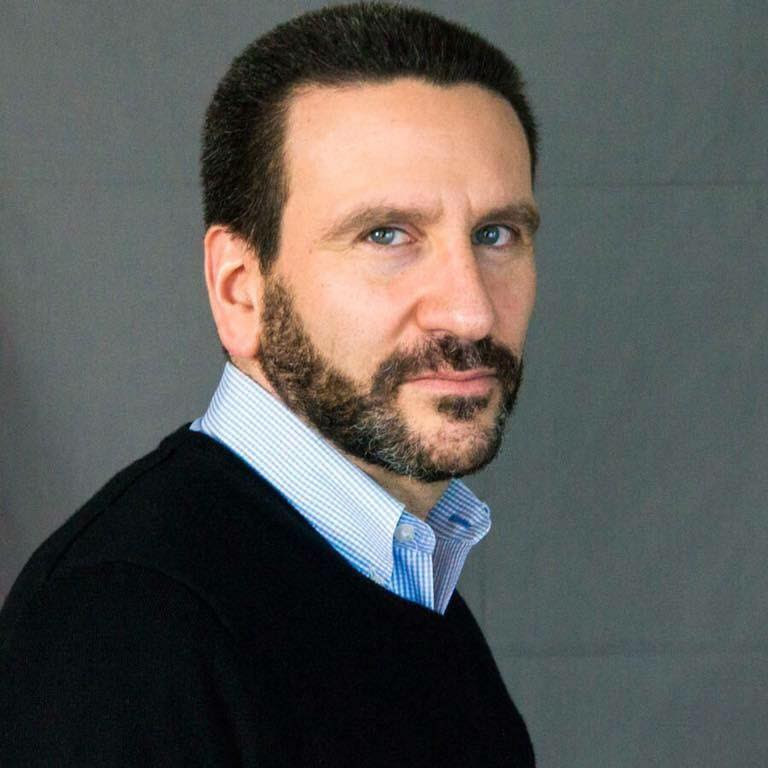 He comes from a technology background but put his career on hold and started this company a few years ago as a solution for his son and others. And just like the chat window showed, they’re employing an army of autism moms as their customer service / sales team. These moms were early adopters / buyers of the device for their kids. They fell in love with the device and wanted to be spokespeople for it. They get to work out of their homes and help other special needs parents feel safer. That sure sounds like a win-win all around. Ok, all sounds great so far, but what’s the deal with the device, how is it different / better than others out there. Well I was wondering the same thing. Doron talked me thru the device and then promised to mail one to me so I could properly try it out. And here is what arrived. Some of these pics & videos are from the angelsense website but my opinions that follow are all my own. So there’s this little tracker device. It’s basically like a one way phone with a gps in it. You know how you can use Find My Iphone or Find My Friend to track your phone or your friends phone wherever it is. This is doing pretty much the same thing. 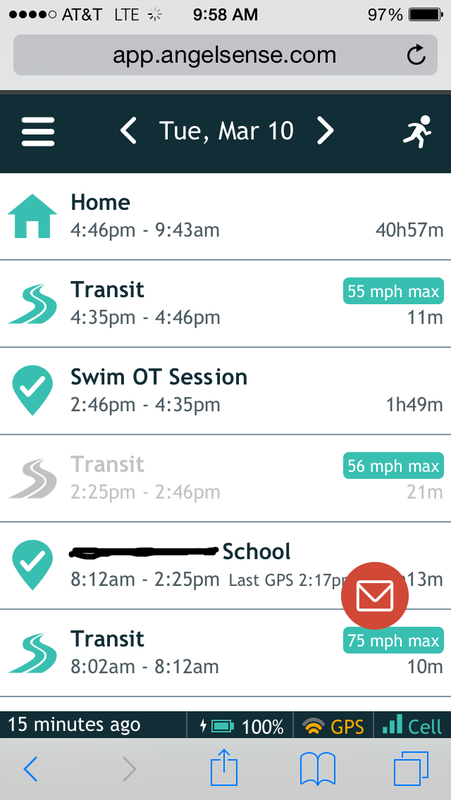 You preset your home location into it, you charge it overnight and then when your kid leaves for school in the morning you put it in his pocket or in his backpack. It attaches to the pocket or backpack with a little magnetic key. I’m not sure how it works, but it does. The magnet helps you take the metal cap off, you stick it in the backpack or pants pocket, you put the cap back on, and no one is getting that device out. You can see how it attaches in this video. And then based on how you have set it up it then emails you and texts you when your kid leaves and arrives at any given location. When your kid arrives at a brand new location it will notify you, “In the last 30 minutes Kyle is a place you have not named. Please name it if it is visited regularly.” And you click on the link, a map shows up of the unnamed location and you name it. After about a week we had all Kyle’s usually places named and prestored and here is how it works. Wifey leaves to take Kyle to school with the device in his pants pocket and both her & I both get texts and email alerts saying “Kyle left home at 7:53am” When he arrives at school we both get notifications that he arrived there. If he leaves school we get a notification. When he arrives at speech therapy we get a notification. And when you get any of these notifications you can logon to the AngelSense site and see a breakdown of the whole day. The time he was in transit, how fast your spouse or the bus driver drove (! ), and the time he was at each location. It is a really smart and intuitive device and the website is extremely user friendly and smartphone friendly. Ok, so what if there’s an unexpected departure? He’s not supposed to leave school until 3pm when wifey picks him up, but we get an alert that he left school at 11:19am. Then you go on the site, and you go into runner mode, and you get real time updates to his location (updated every 10 seconds), and you can “call” the device and you can listen in to get a better sense of where he is. The sound quality on the listen in feature isn’t great, but it’s what you would expect if you had your phone in your pocket, but it gives you a sense of location (at school, indoors, outdoors, etc). That’s basically it. It really seems to be better and different than most of the other products on the market. We have several friends who have devices that their kids wear around their wrist or ankle all the time. But when their kids wander off the device doesn’t automatically alert them. They have to know the kid is missing and then they call the tracking company and the tracking company calls the police. God knows how much time passes before all that takes place. 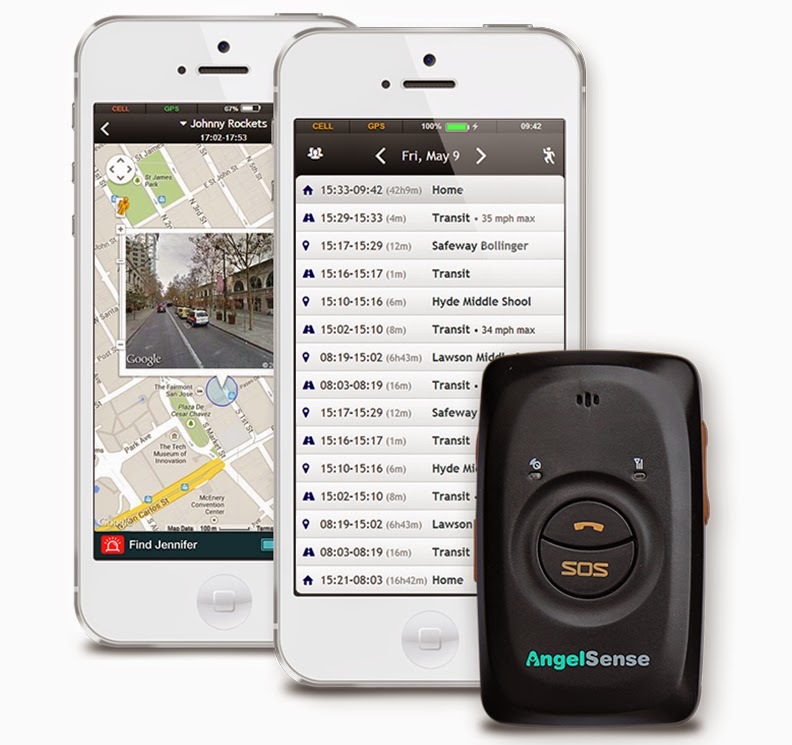 With Angelsense you get notified as soon as your child leaves or arrives at any location. If there’s a deviation from his normal routine, you’ll be notified pretty immediately and react accordingly. It really is taking advantage of the smartphione gps technology. Does it have some drawbacks? Yes. I wouldn’t be honest if I didn’t mention them. 2) Sometimes the notifications are a little slow. My kid leaves home at 8:02 and I’ll get a text at 8:06 saying he left home at 8:02… so a 4 minute delay… that might have to do with my cell phone provider, and 4 minutes is a long time, but it’s still way better than most other gps products out there that don’t notify you at all that your kid has gone missing. They can only track your kid after you find out from somebody else that he’s missing. 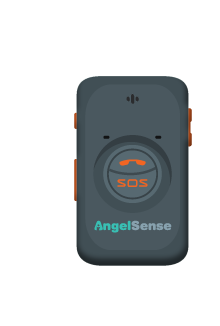 Also, AngelSense has a special early warning mode for high risk places that disables the smart analytics that filter out GPS errors and assures a shorter delay. 3) like a smart phone, the AngelSense battery only lasts between 12-16 hours. Because of the immediacy of the notifications That should be plenty of time to find your kid. But if your kid is a flight risk in the middle of the night you might have a problem. The battery takes about 4 hours to fully charge. We would take it out of Kyle’s pocket as soon as he was home for the night and immediately charge it and get it ready for the next school day. Again, 3 drawbacks that might be huge for some autism parents, but not for us. For us it worked really, really well. It was just a great piece of mind to know where your kid was at all times. And to check in and listen in from time to time. Kyle had a class trip to the bowling alley one day and we were able to see when they left school, when they arrived at the bowling alley, and I even listened in and heard the muffled sounds of bowling balls and him laughing. Well for a limited time they are offering the device for free, your first month service for free, and then it’s $39.99 a month after that. I know, I know. Another monthly bill. But $40 a month equals $1.33 per day. So if you cut out your Starbucks habit and brewed your own coffee at home you’d have enough money to pay for this….and you’d have peace of mind. And as I mentioned way back in the beginning. I have a full kit and a free year’s service to give away to one lucky Autism Daddy reader from the US only who will be picked at random. If you feel like sharing share your “Knowing where my child is” sentence or my blog post review on Facebook/Twitter with the hashtag #AutismDaddyAngelSense. After 2 weeks we will randomly select one winner from the US who left a “knowing where my child is” comment and used the hashtag. That’s it! Hope you enjoyed it! If you’re gonna shop Amazon anyway, can I ask that you enter Amazon by using the search box above? This way I can make a little money. This blogging thing has been awesome & life changing for me… but I must admit that it’s taking up a lot more time than I ever thought… so if I can make a few bucks it’ll make it easier for me to justify….Love you all! Thanks!! I amjust finding out about this device today and my husband and i plan to purchase tomorrow. I have b/g twins that were born at 24 weeks. They have numerous problems. My son, my lil Prince is blind and non verbal. I have had trouble in the past at hus school about scratches. It looked as if someone was grabbing his face and scratching him whether it was by a teacher or student it should nit have happened. Of course everyone denied what was going on. Then my son started exibiting behaviors as if someone was hitting him so he would learn and listen. I had my son removed from that class. My daughter is my lilPrincess is a sighted child but she is a ball of energy. She has recently told me that her para, her 1 on 1 has hit her and touched her. Thats a situation im currently dealing with. I have removed my children from that school until they remove these teachers or I find another school to place them in. So like i said this device is perfect fir us. It gives us a little piece of mind. And i do not plan on telling anyone at the school about angelsense being on my children. Thank You to who ever created this product. its cool. And we can track or find out what the child is doing and where he is going. We would like to thank all Autism Daddy readers who took part in this giveaway contest, and supported our life mission to create a safer world for our special children. The winner is Jessica Bursca, congratulation Jessica! You will receive a free Guardian GPS device and a free service for a year! For those who didn't get the chance to win this time, you are welcome to take advantage of our limited time offer and try the AngelSernse solution for free. Knowing where my child is at all times will allow my family the opportunity to do things that typical families take for granted (camping, hiking, fairs, even just shopping), without so much of the extra fear that autism brings. My son has wandered away before, and has also bolted from stressful social environments like school. And as sad as it is to have to worry about it, it would allow me to hear not only what is happening around him, but TO him. With all the media stories of how disabled students are sometimes mistreated, that's yet another fear autism brings. 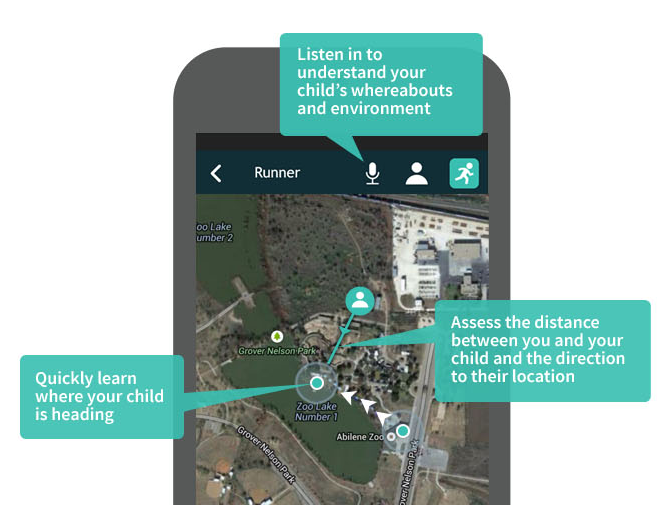 Knowing where our child is at all times will help to reduce our stress and anxiety of our 5 year old autistic son wandering of our property, it will help alleviate my wife's guilt and most importantly it will keep him safe. Long story short, when we bought our house we were lied to and told we could put up a fence but it turned out that we couldn't due to a sight easement. We did the best we could and put up rose bushes but and landscaping but it's not 100%. We also have a 2 year old that is the definition of busy. So as you can imagine, mom has her hands full during the day between the 2 boys and both of the boys therapists coming and going. The 5 YO got off the property a few times last summer when mom was tending to the younger brother and the guilt is still eating her up. Thank God we have neighbors that know about our boy and brought him back or told my wife. It literally only does take a second of distraction for a serious situation to unfold! This device would be a God-send! Knowing where my child is at all times would be a piece of mind for my husband and myself. Our 8 yr old son is severely autistic and is nonverbal. He has to have a 1:1 aide at school at all times and has managed to climb out bedroom windows and wandered off twice on us. Thank goodness he didn't get far and it could have been worse. Been wanting to do something like this for some time now but, can't afford it as my husband is the only one working. Knowing where my child is at all time will help me stop crying in the mornings when she leaves home. My daughter is completely non-verbal. This device will stop my tears. I have twin girls who are both on the Spectrum…. I just ordered this for our non verbal autistic 6 year old who is a flight risk if ever there was one born of this earth. I will feel much better to know where she is and not rely completely on someone calling to say the awful has happened. I pray we never have to use it that way. Knowing where my child is at all times would be such a relief! This is exactly what we need for our daughter ! To not have the stress of worrying about her eloping of wandering would be such a relief for us. I seriously hope this device can be a game changer. Its so needed. Knowing where my child is at all times is something I don;t have to worry about today but it will be back…I know it will. Nash was a constant "I'm outta here" guy until we changed his meds. I am not fully sure that its the meds or a peace treaty that I don't have access to. Anyway…at 9 years old I need to know where he is…at all times! Knowing where my child is at all times would give great piece if mind. He is too friendly and will walk off with anyone. He is a runner and has had incidents, where he has been found wandering the rosds. This device would help and much. Knowing where my child is will ease my mind and make my day peaceful. #AutismDaddyAngelSense.